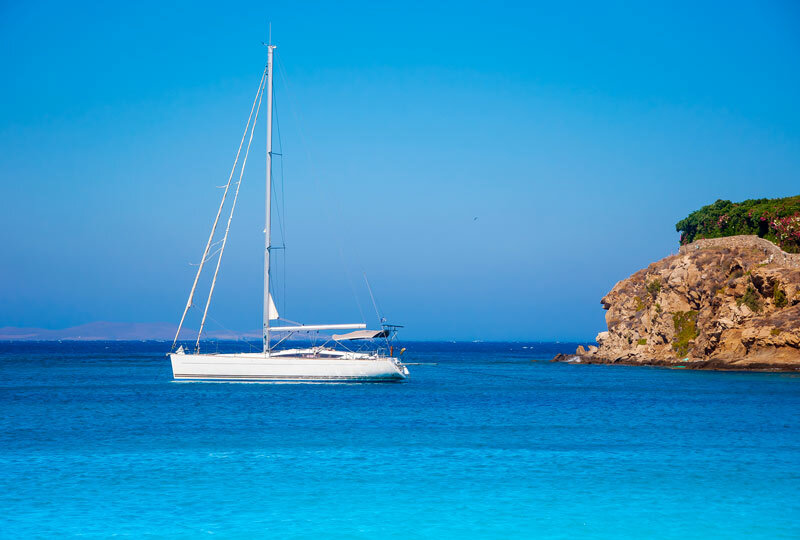 When in Mykonos, sailing around its famous coastline or the neighboring islands can be a once-in-a-lifetime experience. Whether you choose a small dinghy (not very advisable on a windy day!) or a super-yacht, you can still discover paradises untouched by human influence. Don’t forget that, along with Mykonos, the Cyclades include some of the most beautiful islands in the world. Discover amazing beaches with beautiful turquoise waters, small deserted spots ideal for snorkeling and breathtaking romantic sunsets. Be amazed by the view of tiny villages, all dressed in dazzling white, “hanging” from rocky mountainous scenery. Everything takes a totally different dimension if seen from the deck of a luxurious yacht! To charter the boat of your dreams all you have to do is address one of the agencies operating on the island. Most of them offer a large variety of rental boats, from beautiful handmade wooden “caiques” to mega-yachts. 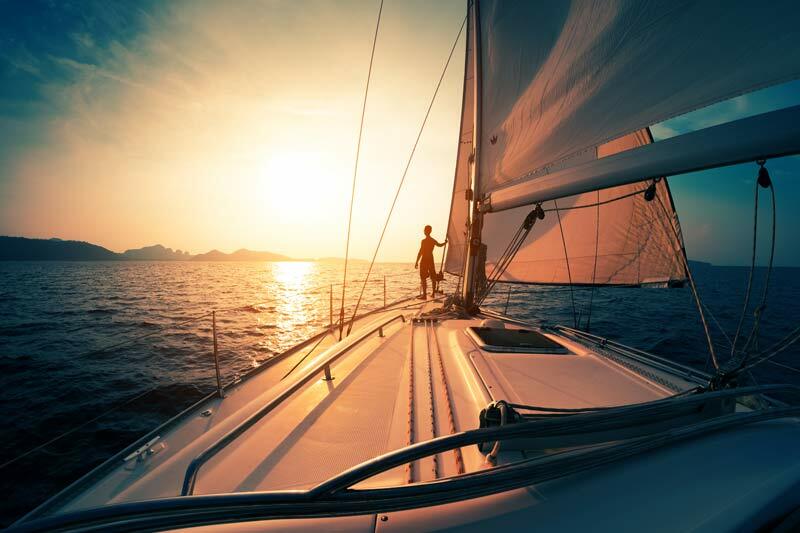 Every boat is equipped with state of the art facilities and comes with top quality services. You can rent it for a day or more and take the opportunity to enjoy a private guided tour on the historic Delos Island with the legendary ancient temple. Afterwards, you can swim in the crystal clear waters of Rhenia Island, have a candle-lit dinner on the beach and even visit the neighboring Tinos Island, home of the greatest Greek sculptors, with its world-renowned picturesque villages! Depending on the weather, the crew will schedule the ideal itinerary for you and make sure that you will enjoy a most memorable, safe cruise that will be carried in your heart as one of the most precious memories of your life!